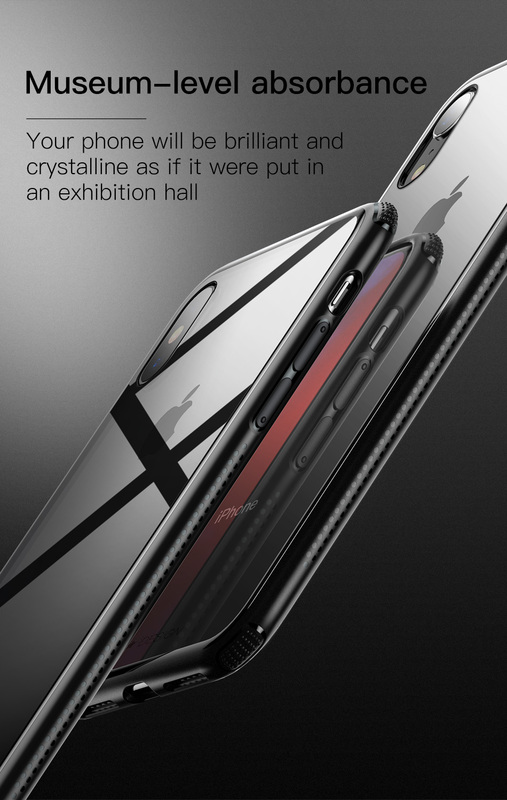 Show Your iPhone with quality like it were put on display in Exhibition hall. 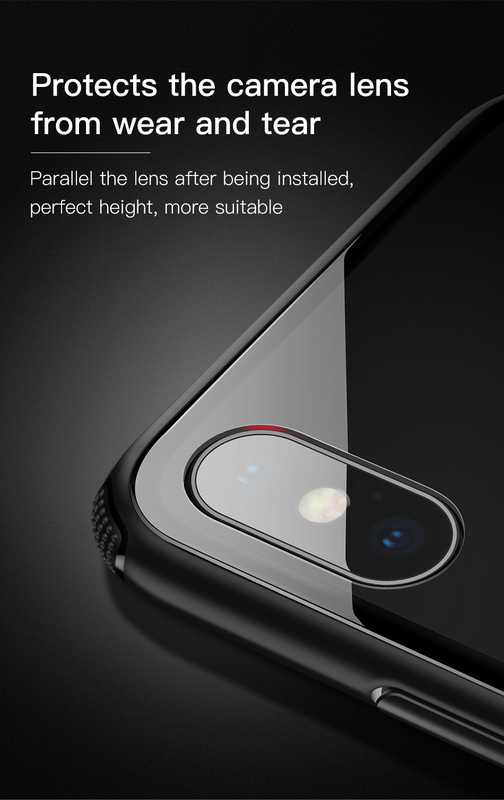 True glass back to Showcase iPhone brilliance look. No scratches and no yellowing persistent transparency feature will make your iPhone showing awesome even for longer time with use of this case. 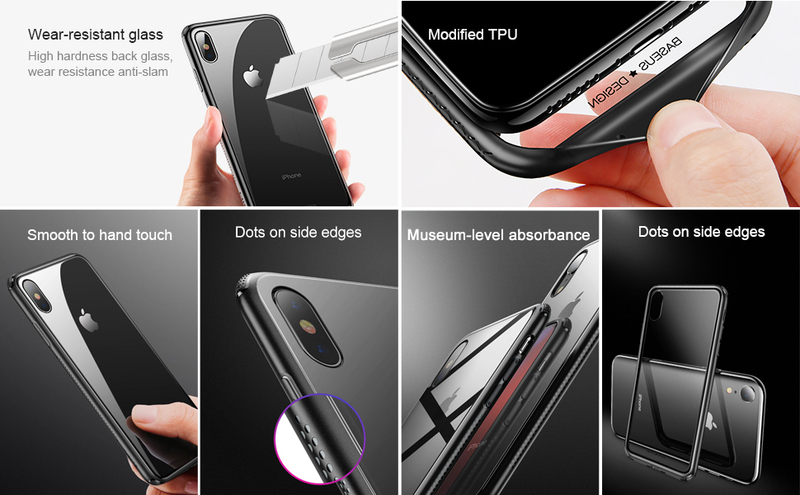 Its Ultra thin design will make looking your iPhone Slim One. 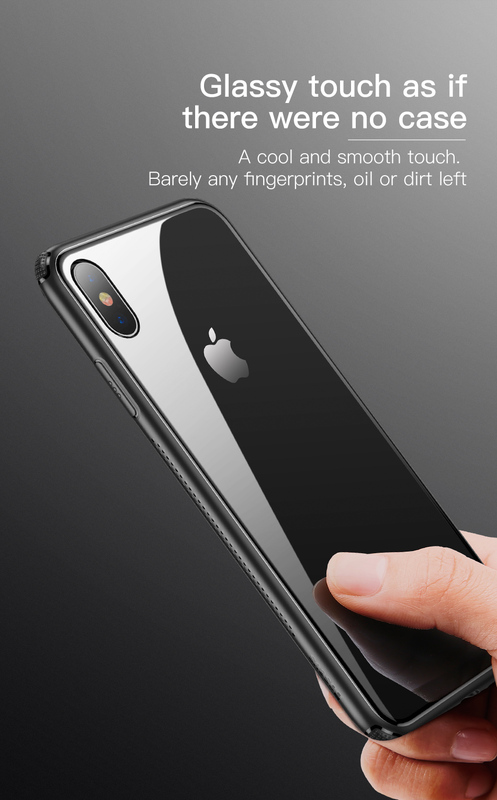 Bare iPhone Experience with its Back Glass Smooth Touch Experience. 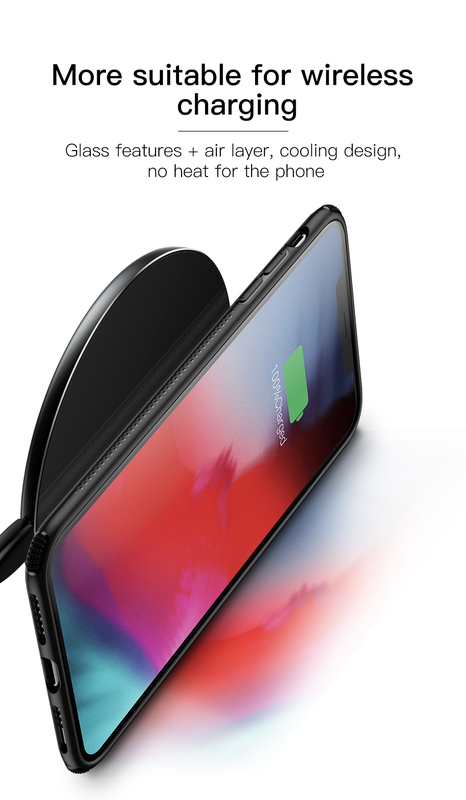 Don’t worry about wireless charging loss due to case wearing as this case material fully supports wireless charging. 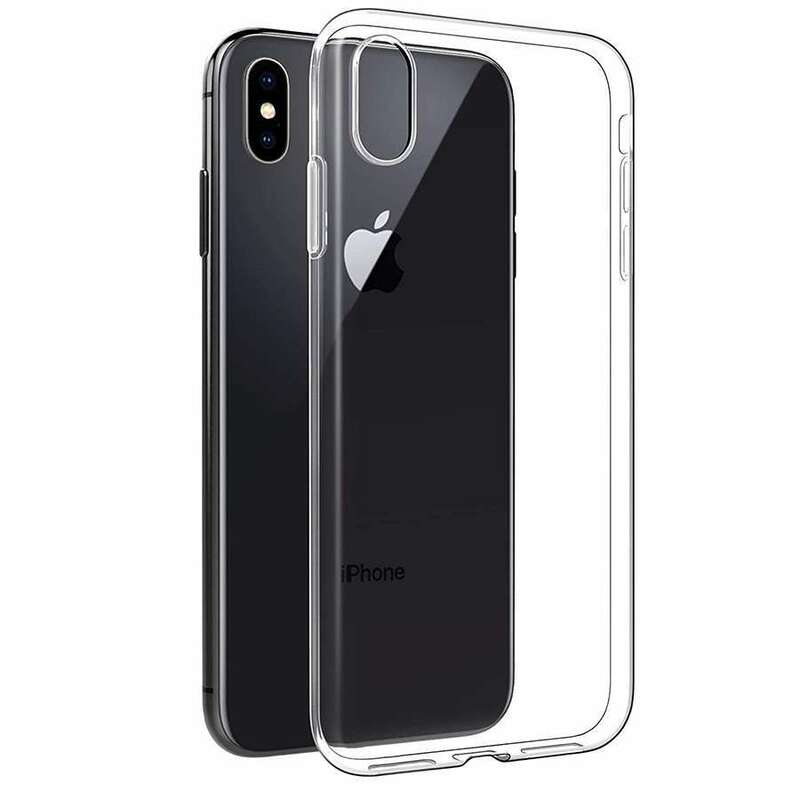 No Scratches will be on this case even if You use Knife over it. 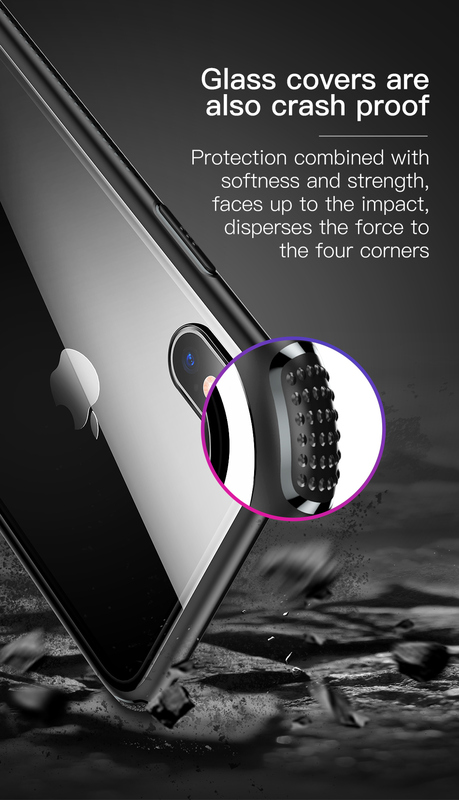 It will protect your iPhone from Scratches & Drop Damages. 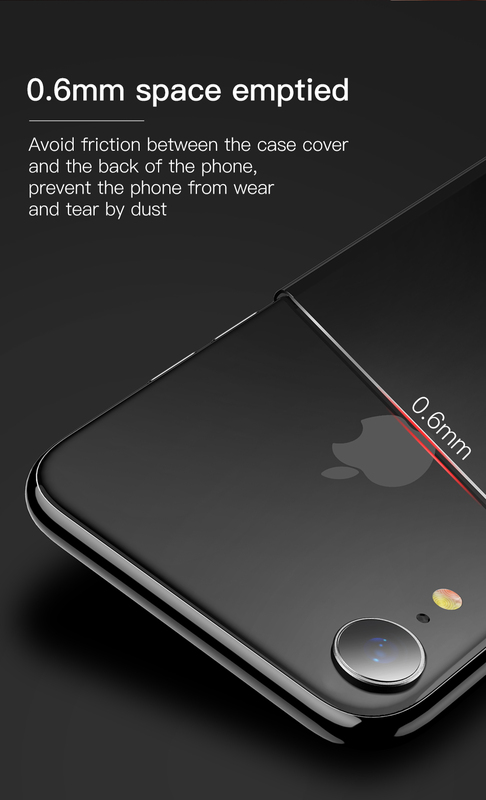 0.6MM Space has been emptied between case & iPhone so that Your iPhone will not get wear & tear from dust. Side Soft TPU Edges will let you easily install or remove the iPhone case. 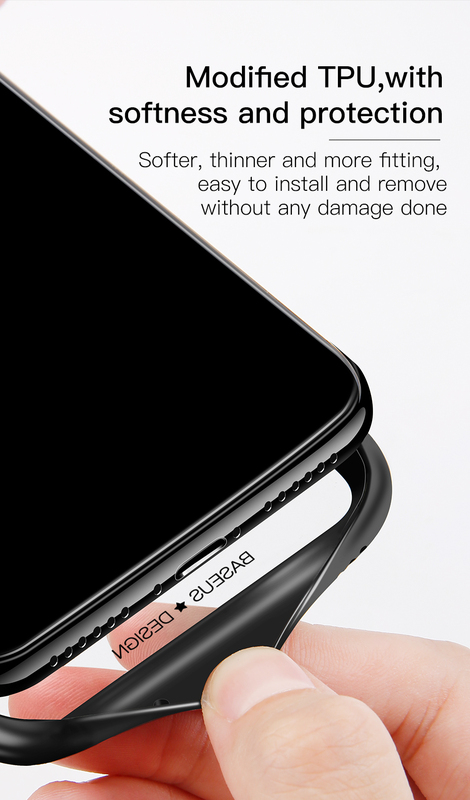 Easy install / Remove feature avoids most of damages to iPhone as you no need to use heavy force to mount the case. 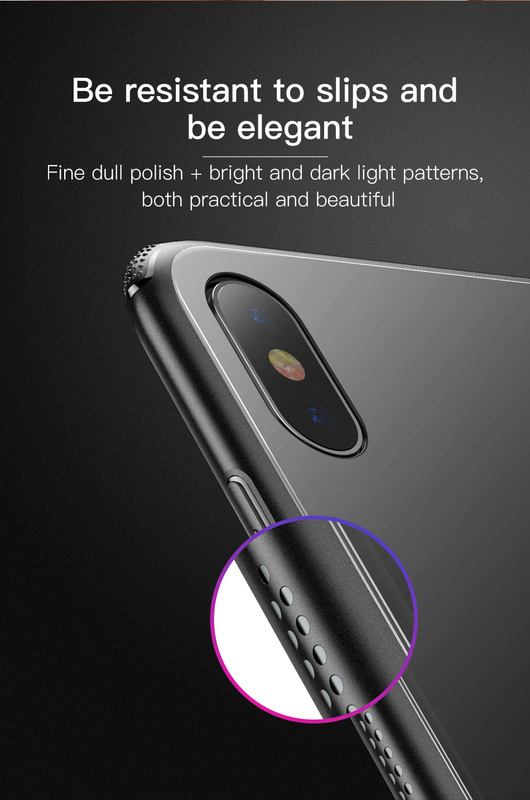 Practical & Beautiful Design Patterns makes it anti-slip & Elegant case. 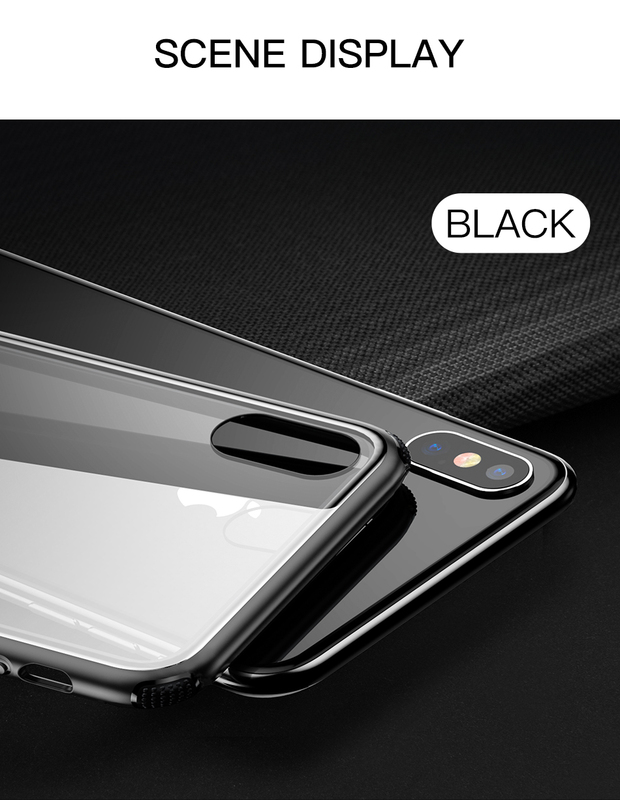 It will help you in Showing your iPhone with elegancy & Protect it from damages. 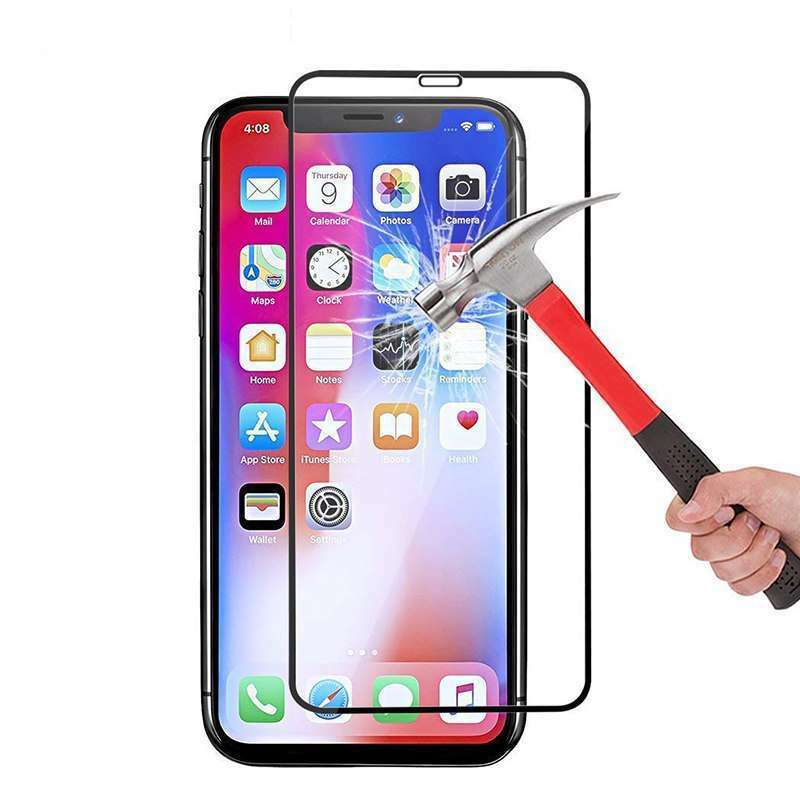 Special Protective Four corner Designs helps in making your iPhone crash proof with this case. 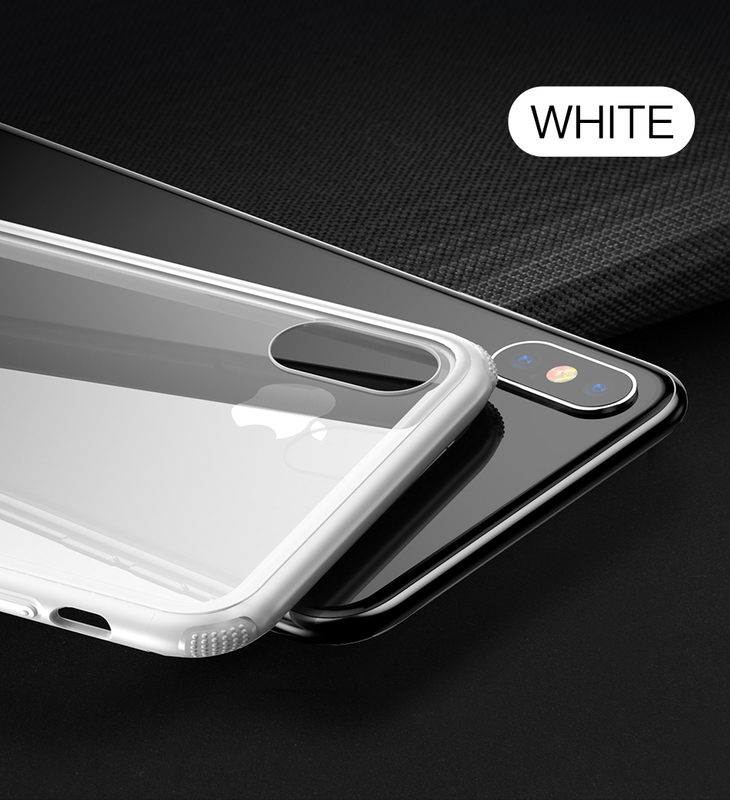 Special Camera Protective Design to protect Your iPhone Camera from wear & tear. 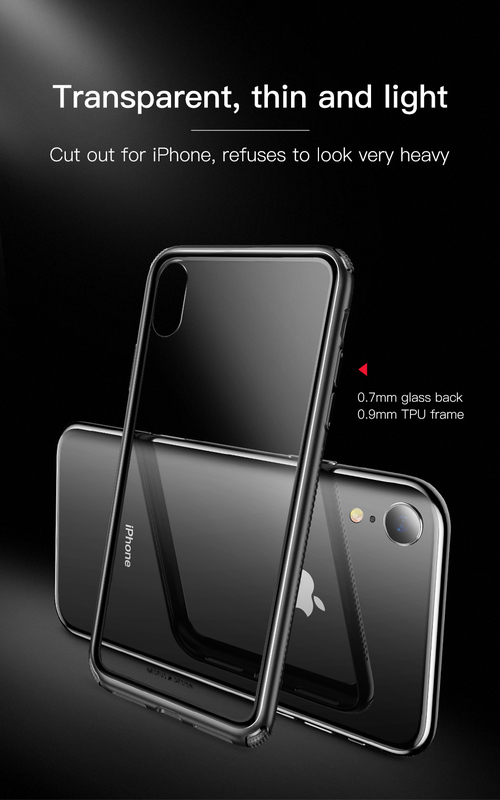 True glass back to Showcase iPhone brilliance. Super! I am very glad with the accuracy of the product and the quickest possible delivery. This is simply wah !